Repeat customers are gold. They love your products and they keep coming back! What shop owner wouldn’t want that??? Getting repeat buyers is all about top-notch customer service, a great product, and being friendly. 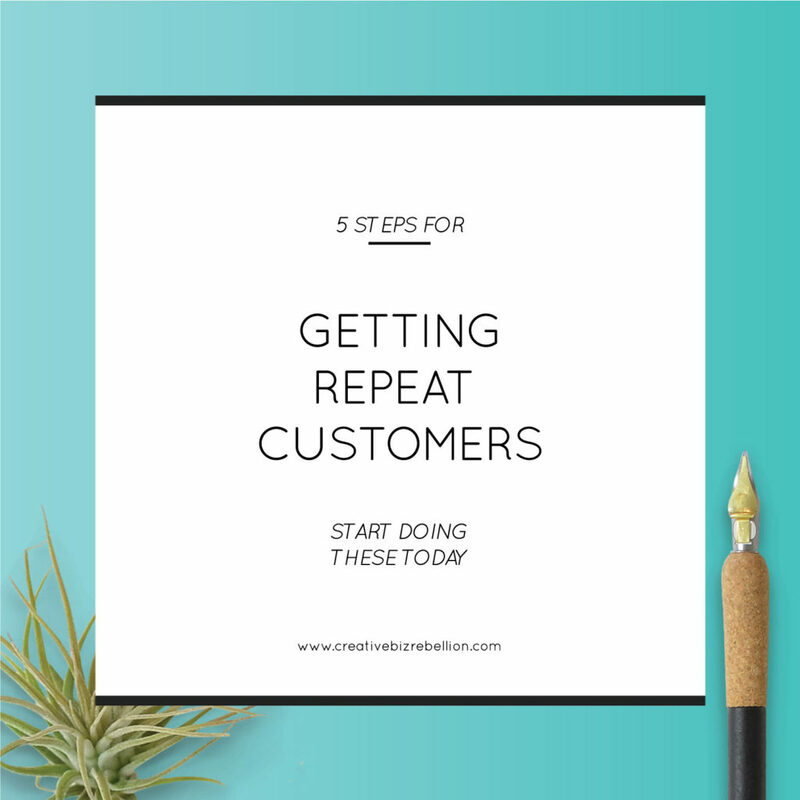 Below I share my top 5 tips to help you not only get repeat customers, but keep them! 1. Offer a Thank You Coupon. It could be as small as 5%, 10% off or free shipping on their next order, but giving them an incentive to come back is always a good idea! 3. Offer a repeat buyer program. You can do something like, buy 5 cards, get one free or place 5 orders and receive 50% off your next order. This is a great way to get customers to come back since the purchase doesn’t have to be made all at one time. My big tip for this is to create a spreadsheet and keep track of your customer’s purchases for them – my customers love when I email them that they reached an incentive! 4. Market your items as gifts. You have to put into your customer’s minds that your items would make great gifts. They may not put that together on their own. For example, if a mom is looking for teething necklaces for her baby she may not be in the mindset of purchasing a gift, but if in the description you mention that your necklaces make great baby shower gifts she may remember that her friend’s shower is coming up and purchase that for her now or later. BAM! You just created a repeat customers. 5. Offer gift cards/certificates. This doesn’t seem like it would create repeat buyers, but you would be surprised. When customers purchase from you they may think that your items would make great gifts, but may not want to pick out the style, color, or size for someone else. This is where having gift cards available can really help!